Effective tax management is critical to the financial success of businesses and individuals. McNair, McLemore, Middlebrooks & Co., LLC can assist you in all areas of tax management. Our professional staff can create long-range strategies or prepare current-year tax returns. This will ensure your tax liability is not more than the amount required by law. 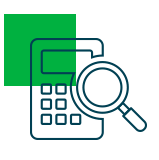 Whether your tax needs are simple or complex, we can help with any issue before it becomes a major tax problem. The common misconception is that “tax time” is the period leading up to April 15. The truth is, it is always “tax time.” The strategies you use today will impact the taxes you pay (or avoid) tomorrow. We combine tax planning with your business strategies and personal financial goals. Almost every decision a business owner makes carries tax implications. While each business decision should be judged on its own merits, the tax consequences cannot be ignored. Our professional staff is available to offer sound advice and help your company reach its goals. For individuals, we can help you build and preserve wealth by minimizing your federal, state, and local income tax liabilities and clarify complicated tax situations. We can also help you understand the tax benefits of estate planning tools, such as limited partnerships, trusts, and annual gifting. We thrive in developing creative tax strategies that enable our clients to significantly reduce their taxes and often, enable them to recover more than our fees. Our firm is well-qualified to represent our clients before the IRS. We have resolved numerous tax disputes and issues simply by being aware of constantly changing tax legislation.